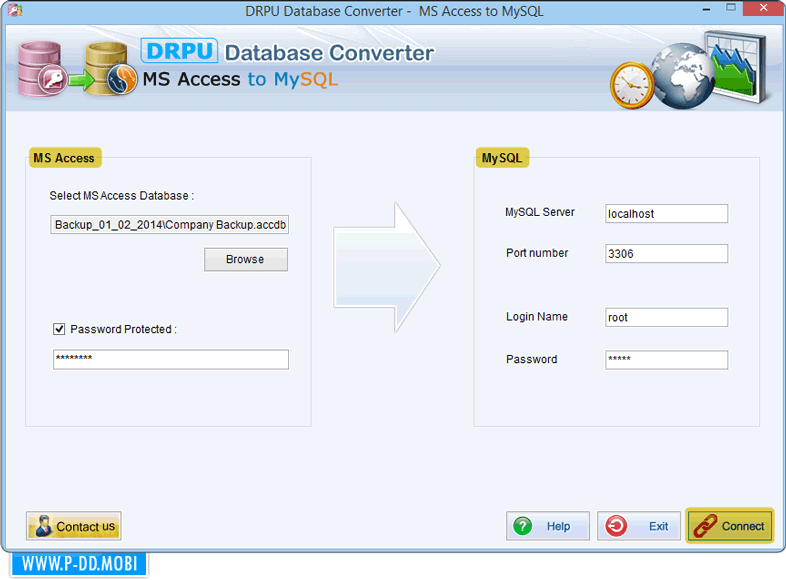 MS Access to MySQL database converter software provides easy and affordable solution to convert database records created in MS Access to MySQL database server. Database Converter tool relevantly convert password protected Microsoft database (MDB) files in easiest manner from MS Access to MySQL server. Award winning DB converter tool support all versions of MS Access with default value, null value, primary key, unique key constraints, entities and attributes etc. 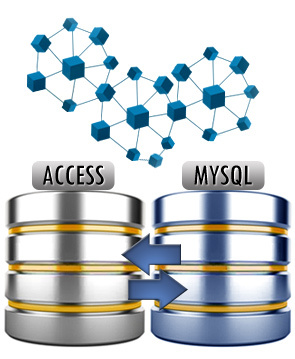 Convert MS Access database records to MySQL database. Overwrite MS Access database with MySQL database or saves at new location to save the converted database records. Depending on user’s choice, converts entire database or chosen database table's records. Provide GUI interface for the user usage. Easy to use software provide full install and uninstall support.